Continued street blockades and military checkpoints, disruption of social media sites and Whats App, reports of police abuse and violence across Zimbabwe. 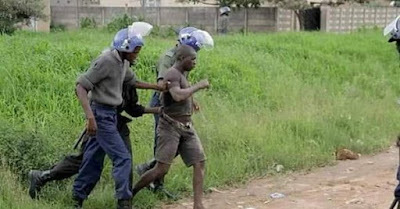 In response to protests over fuel shortages and price hikes, police dispersed tear gas against protesters in Bulawayo, Harare, and Mutare on January 14. On January 15, the Embassy received reports of clashes between security forces and residents in satellite neighborhoods in Harare and Bulawayo. The Zimbabwe Association of Doctors for Human Rights reported that 26 people sustained gunshot wounds since the protests started on January 14. Most grocery stores, schools, and businesses are closed across Zimbabwe in response to threats posted by anonymous protesters on social media threatening businesses, schools, fuel stations, and local transport with physical harm if they continue to operate. There have been limited reports of stores being looted. There are wide-spread reports of internet disruption affecting social media websites, and cellular data resulting in the loss of What’s App, text messaging, phone calls, and local internet. The Embassy recommends that you shelter in place, monitor local media for updates, including Voice of America on Channel 909 AM in Harare and on short-wave 4930, 7210 and 12120 kilohertz frequencies, and try voice calls and text messaging as a communication method until cellular data is restored. Harare International Airport and the Victoria Falls Airport remain open for business. Fast Jet, one of the main airline operators in Victoria Falls, announced that it had closed operations and all flights until January 22. • Stay away from the Harare Commercial Business District, Chitungwiza, Damofalls, Epworth Hatcliff, Dzivarasekwa, Kadoma, downtown Bulawayo and its western suburbs. • Remain alert for potentially dangerous situations.